It's been a long wait (since Christmas, and the wonderful gift of a rat-mansion from the OH) but Comma and Em-dash are now here. The pale one (officially buff) is Comma, and she's already a snuggler who has a tendency towards funny-five-minutes's, and Em-dash is the darker one (officially agouti). She is the adventurer, and always likes to know what's going on. 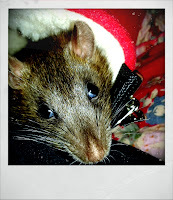 They are brilliant, and all of my thanks and delight is aimed in the direction of Lloyd at Eximius Rats for breeding and raising such terrific little girlie rats. Just a note on the names: I've always wanted to call some animals after punctuation, as it's such a prevalent and useful thing in my life as a poet and wordsmith, and by strange coincidence the litter that these lovely ones are from was nicknamed 'The Brackets', after mum Katy and dad Bracken. It was meant to be! If you're interested in rats and you'd like to see my ratty Pinterest board, then go ahead and take a look. I will warn you, though. I love double rex and hairless rats too... so they're not always the prettiest cutest looking creatures. 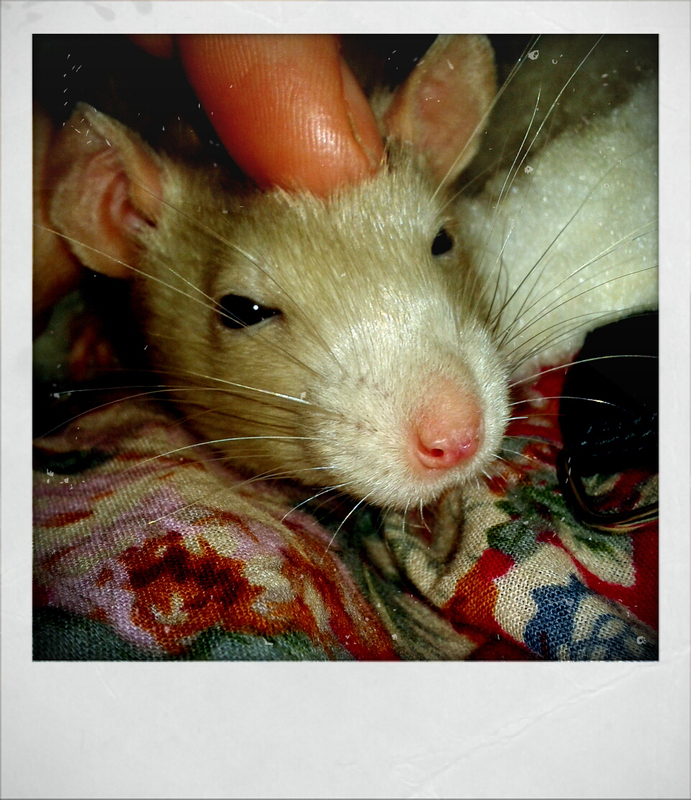 Also, it's quite hard to find a lot of positive rat imagery. People seem to hate them. Even with faces like these!